Please report and errors, bugs or any issues you experience with the website, Forum or any other technical aspect of CAG. This will also be used to ANNOUNCE any bugs I'm aware of, so always come check here first when you experience difficulties. Any CAG related anouncements that effect Members & Guests will be made in this section. Staff of the Carp Anglers Group- Directors, State Chairs, Website Admin, etc. Your group is welcome to it's own forum section for events too! Just email cagstaff@carpanglersgroup.com and ask! 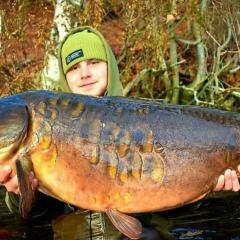 Talk carp and find carpers in your local area! Find the next EVENT or Fish-In near you! Articles about carp fishing from beginner to expert! For the fly fishing enthusiast. A Members Only Forum with Product Reviews, Confidential Reports, Rigs, Baits, etc. Remember non members can see thread titles, but not the content of threads. Outside of fishing but fun? All CAG Online contests will be posted here!! Director Voting, Financials, Member Input, etc. Discovery Month is a story writing competition for CAG members only that takes place every October. The winners are decided by a member vote right here in the forum. Have something to donate to CAG? Proceeds from items offered in this section will be donated to CAG. Buy, sell, trade your fishing tackle and RELATED gear. Temp membership available in the CAG Store. This forum is provided as a service to our forum members and to our fine CAG Bait and Tackle Members. It is intended for one way communication of offers, specials, and business announcements. A private forum for BIZ/BIZ and BIZ/ADMIN communication.